This cute Trim Your Stocking Christmas scrapbook page can be made in either the 12×12 traditional format or Project Life style. Both are quick and easy to put together! I started out using the Trim Your Stocking die set to make a traditional 12×12 Christmas scrapbook layout. As time allows, I am going back through my old photos and getting them into a scrapbook. I don’t have very many pictures from when my husband and I were dating so the ones I do have are special to me. Our very first date was at our high school Christmas dance. So I wanted that photo to be the star of this page. I used a fun color blocking technique to make this page using the Quilted Christmas Designer Series Paper. I didn’t have to even do any cutting as that is a 6″x6″ paper pack. 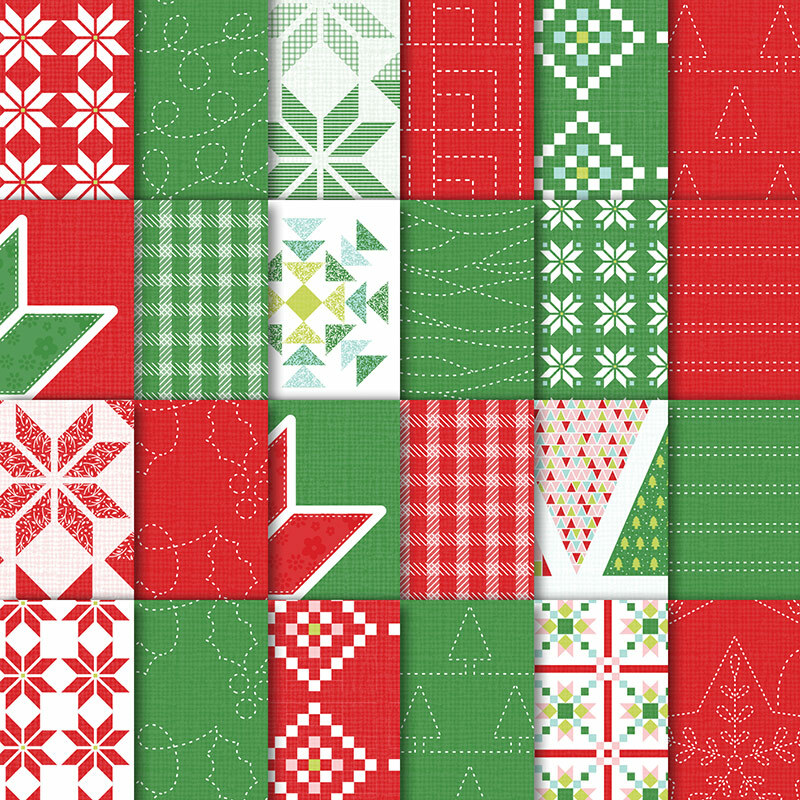 Choose 4 papers from the Quilted Christmas Designer Series Paper Pack. Adhere to a sheet of 12×12 Whisper White Cardstock. 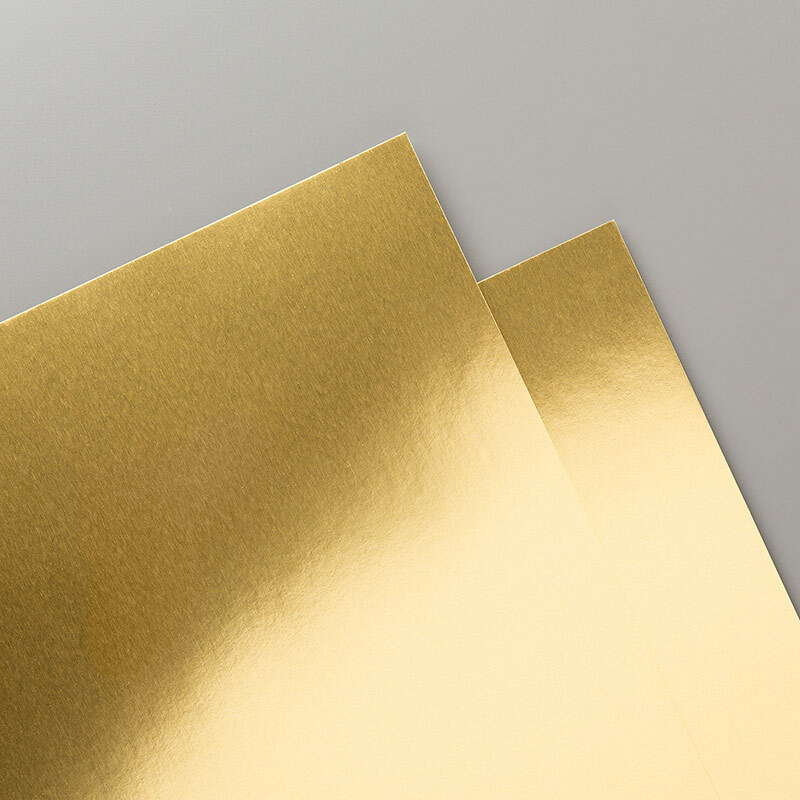 Cut a piece of Gold Foil Paper to 5-1/2″ X 7-1/2″. Mount a 5″ x 7″ photo on the gold foil. Adhere to the center of the scrapbook page. Use the Trim Your Stocking Die Set to die cut a stocking from Real Red cardstock. 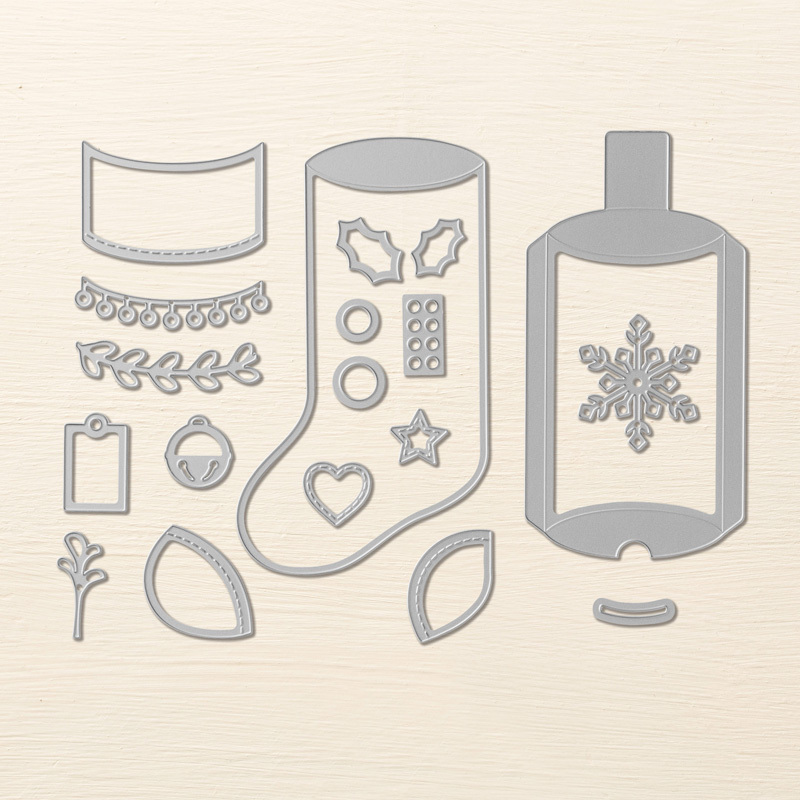 Use the Trim Your Stocking Die Set to die cut a cuff, heel, and toe from Whisper White cardstock. Cut 2 holly leaves from Garden Green cardstock. Cut a heart from Real Red cardstock and a heart from Gold Foil paper. 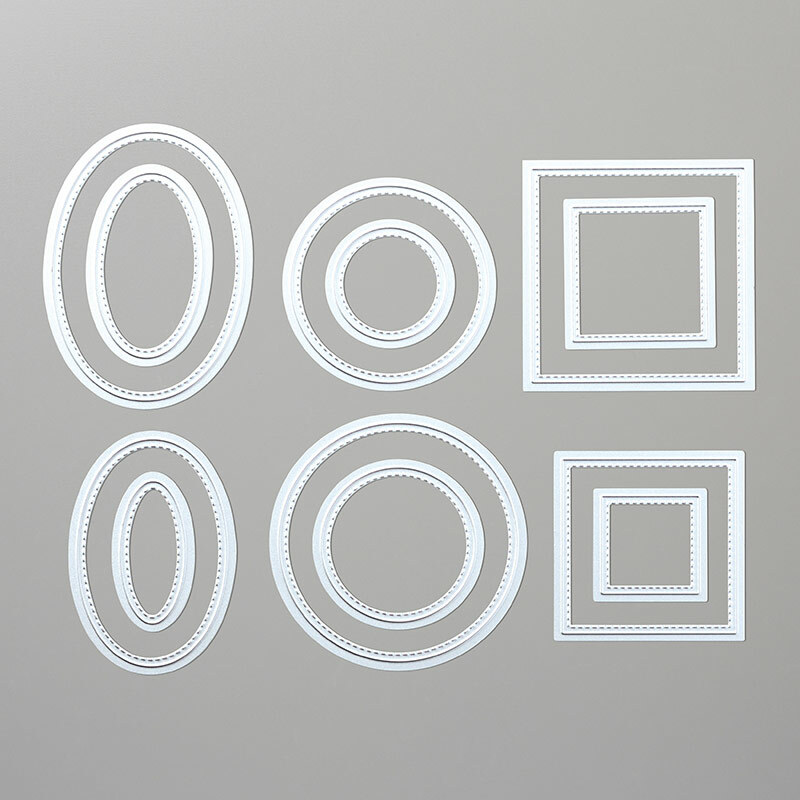 Use the Stitched Shapes die set to cut a 2-3/4″ oval from Whisper White cardstock. 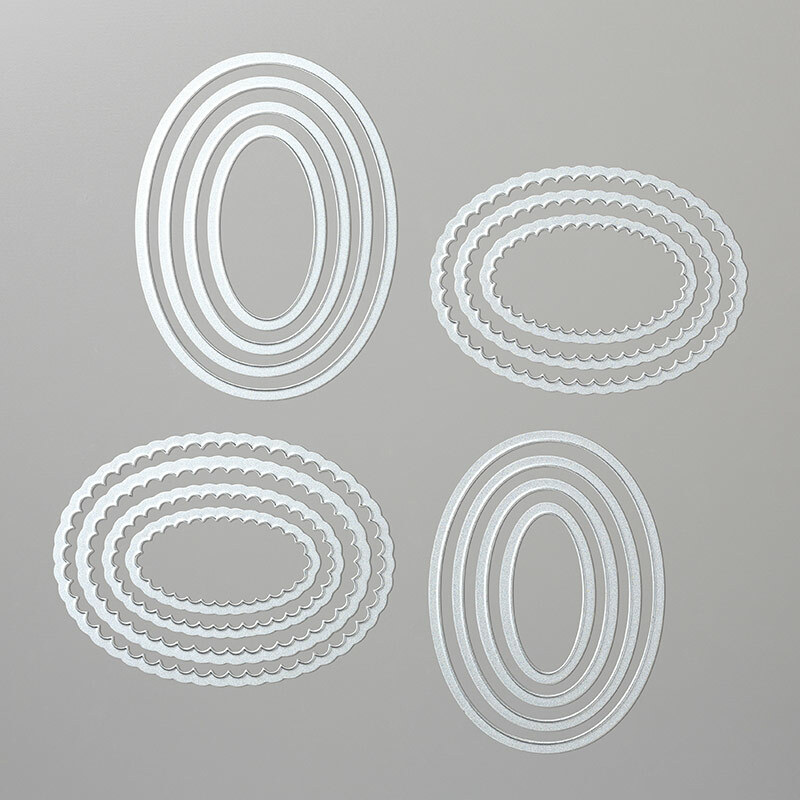 Use the Layering Ovals die set to cut a 3-1/4″ scalloped oval from Garden Green cardstock. 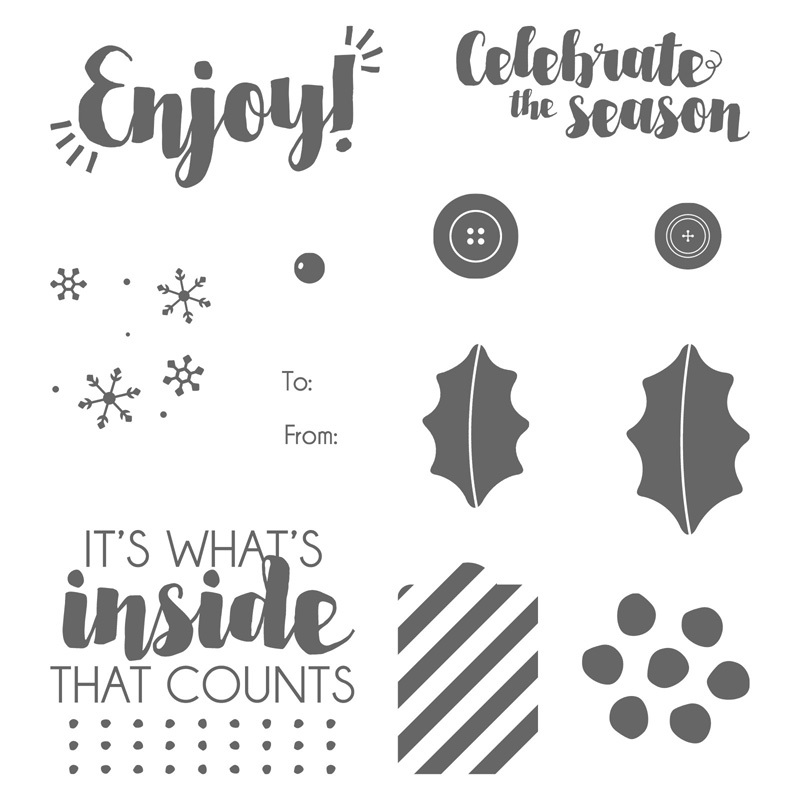 Use the Tags & Trimmings stamp set to stamp “Celebrate the Season” in Real Red ink on the white oval. Use the snowflake set stamp to stamp Real Red snowflakes all over the stocking. Use a pair of scissors to cut along the score line to cut the top flap off the stocking. This is needed only if you are using the die set to make a stocking pillow box. Adhere the cuff, toe, and heel to the stocking base. Add the 2 holly leaves and heart to the cuff. Adhere the white oval to the green scalloped oval. Add the gold heart just to the right of the word celebrate. Adhere the assembled stocking in the bottom left of the Christmas scrapbook page, overlapping the photo slightly. Adhere the Celebrate the Season sentiment to the top right corner of the photo. Add journaling if desired in the lower right corner. The Trim Your Stocking die set also makes cute Christmas Project Life pages. (If you aren’t familiar with pocket scrapbooking, you can check out all of my Project Life pages to learn more.) We visited a local light display called The Christmas Ranch and I made this pocket scrapbooking page with pictures I took. I used Quilted Christmas Designer Series Paper and the Project Life die set to make the cards. The stocking in the upper left was cut from Quilted Christmas paper with a white background. The cuff, heel, and toe were cut from Real Red cardstock. The cuff is embellished with a holly leaf and a gold foil jingle bell. The embellishments on the remaining cards were also all cut with the Stampin Up Trim Your Stocking die set. I just love how this page turned out! For more scrapbooking crafts, be sure to check out the rest of my memory keeping posts. Happy crafting!